The membership benefits package we offer is constantly under review. Our mission is to provide worthwhile benefits & offers which, in total, are worth many times your membership fee. All this, plus the opportunity to make £,000s from extra bookings and £10 million Public Liability Cover = a fantastic deal for mobile DJs! 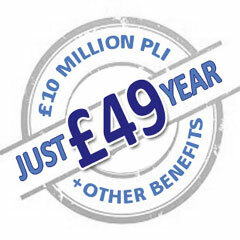 Our Public Liability Insurance is underwritten by a consortium of insurers. The consortium is led by Argo Global SE and it covers you world-wide too! Extra client enquiries from our six sites targeted at clients. Exclusive access to discounted PAT services for members around the country. Find a professional web designer and get a discount too! We make it easy with our free guides and pro formas. All members can reduce their renewal premium to just £1 (or less!) with our unique & generous referral scheme. Extended free trial for 3 months.